Cooking delicious meals isn’t the only thing Malcolm de Sieyes is interested in! 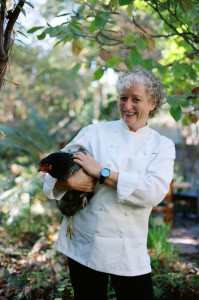 This Napa Chef has an eclectic background that includes experience as a professional photographer, EMT, avid sailor, and marine mammal stranding coordinator. 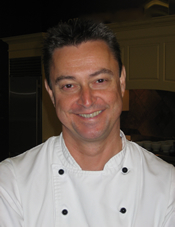 A true entrepreneur, he shares his passion for great food as the Owner/Chef at Silverado Cooking School. His love of food started as a child, fishing with his grandfather off the coast of Massachusetts. The fresh fish they caught was served alongside vegetables from his grandfather’s garden. To this day, Malcolm has fond memories of how simple yet profound those meals were. 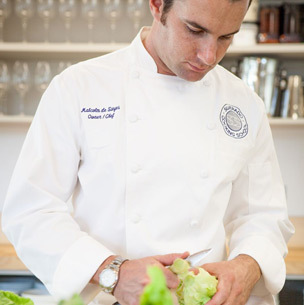 Living and cooking in France, he learned the true meaning of “Farm to Table” and had the vision for Silverado Cooking School. It was not until he moved to California that he found the perfect area to launch his company. A graduate of the Full-Time Professional Culinary Program at Tante Marie’s Cooking School in San Francisco, he has spent time at restaurants in Berkeley, most recently, Eve Restaurant. Malcolm lives in Napa with his wife Kim, daughter Lilly, son Jay, their two dogs, and two cats. In his spare time he enjoys wine tasting, surfing and fishing. He also trains and competes as a nationally ranked tri-athlete.